This article is part 5 of a 6-week Summer Soul Refresher series from BGEA. Catch up on the first four parts below. When Jesus walked the earth, he took ordinary guys and showed them how to be evangelists—fishers of men. Today, through the power of the Holy Spirit, ordinary people are still spreading the Good News about Jesus. And just like 2,000 years ago, it’s not always easy. Still, every follower of Christ is called to share the Gospel. Here are some ways to get started. Have you ever heard the expression, “Bloom where you’re planted”? That’s what God wants us to do with the Gospel—make the most of our circumstances and reflect His love to everyone around us. You don’t have to be a pastor or missionary to tell people about Jesus, either; just think of all the people around you in need of hope. Psalm 96:3 tells us to “Declare his glory among the nations, his marvelous works among all the peoples!” Keep your eyes open for people you can talk to and ways you can connect the conversation with Christ. Catch up with a family member by phone or text message. Use social media to encourage a friend. Let a coworker know you are praying for him or her. Take dinner to a neighbor in need. Ask a cashier how their day is going and really listen. Be intentional about forming relationships with people around you. Want to share the Gospel around the world without leaving home? Learn more about BGEA’s Internet evangelism ministry, Search for Jesus. Sharing Jesus doesn’t have to be awkward. Watch the funny 30-second video below, then see how you can get involved in this fall’s My Hope outreach, which combines video programs with the power of personal relationships. 2. Focus on the Gospel. Be a friend and a good listener. The Holy Spirit gives us power to share the Gospel (Acts 1:8). Pray He will give you opportunities to share your faith. Remember, we’re all sinners in need of a Savior. Try to see people as God sees them—as treasured creations made in His image and loved unconditionally. When we see others that way, we will want to follow God’s command to share the hope of the Gospel (Matthew 28:19-20). How exactly do you share the Gospel, step by step? What do you say and how do you approach it? Read Sharing Your Faith 101. Do you know someone with a specific spiritual need or question? Maybe someone struggling with loneliness, grief or addiction? Share one of these pages on Facebook or Twitter to address their needs and point them to Christ through our online evangelism ministry, Search for Jesus. 3. 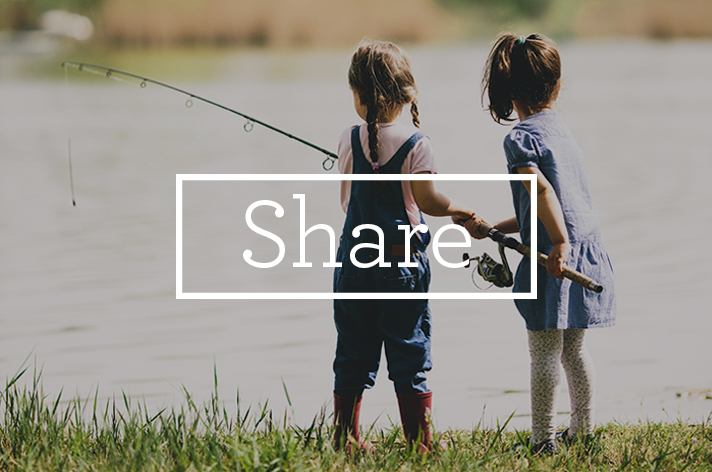 Share true stories of God’s power. No matter how “ordinary” yours may seem, we’ve all got a story to tell and you never know what it can mean to someone until you share it. Jesus often talked in parables so people could better grasp God’s plans, instructions and power. In the same way, you can use personal experiences and stories to relate to others and tell them about Christ. What was life like before you accepted Christ? How did you receive Christ? What did you hear? How did you respond? Why did you choose to put your trust in Christ? Try to mention a Bible verse or two, but be careful not to overwhelm your listener. How has life changed since accepting Christ? It’s OK if you stumbled or struggled in the past. The important thing is to be honest and relatable here. Do your best to write the way you speak and practice your story until it’s natural. Above all, remember that it’s God’s business to turn a person’s heart towards Christ. Though we are to be obedient in sharing our faith, our persuasion alone is not enough. As 1 Corinthians 3:6 says, some plant, some water, but it is God who makes the seed grow. Want more of our Summer Soul Refresher series? Read part 6: How to Shine Your Light for Christ.